US student barred entry to Israel could be allowed in if she renounces boycott movement and regrets involvement, minister says. Lara Alqasem, the American college student in detention for a week at Ben Gurion Airport, may be able to enter Israel if she renounces the boycott movement against Israel, an Israeli government minister said Tuesday. “Alqasem comes forward tomorrow morning with her own voice, not with all sorts of lawyers’ wisecracking and statements that could be construed this way or another – and declares that supporting BDS, she thinks today is illegitimate and she regrets what she did on this matter, [and] we will consider our stance,” Strategic Affairs Minister Gilad Erdan (Likud) told Israel’s Army Radio, according to Haaretz. 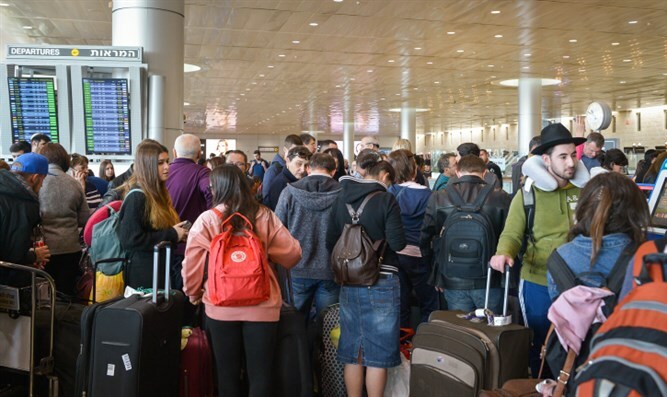 Alqasem, 22, was denied entry to Israel at the Tel Aviv-area airport on Oct. 2 due to her involvement in the BDS movement. The University of Florida graduate was president of the campus chapter of the pro-BDS, anti-Israel, “Students for Justice in Palestine” group. She is enrolled as a master’s student in human rights at the Hebrew University of Jerusalem, and was issued a student visa by Israel’s consulate in Miami. But she has been barred from entering Israel owing to a law, passed last year, that allows the state to deny entry to BDS activists. Alqasem is fighting in Israeli courts to enter the country. She lost an appeal last week but has been allowed to stay at the airport, where she is living in a small room, until courts render a final decision on her case. In her testimony last week to an appeals court, Alqasem claimed she did not support BDS. “I don’t support BDS. If I supported it, I wouldn’t be able to come to Israel as a student,” she said. In a rare move, Hebrew University requested to join her appeal, which should be heard in the coming days. The school has called on Erdan and Interior Minister Aryeh Deri (Shas) to let Alqasem enter the country, according to Haaretz. Members of the left-wing Meretz party have also visited with Alqasem.